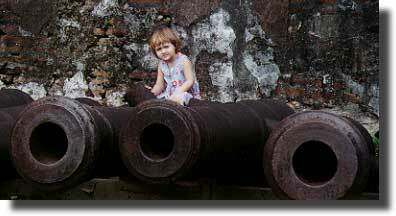 We went to Omoa, an old fort, over the Thanksgiving weekend. Breck and I had a great time climbing all over the old cannons, running up and down the ramparts, and pretending that we were locked in jail. We even got to go to the beach afterwards and splash around. There are lots more pictures from the fort here. That was sure a lot more fun than the days before. 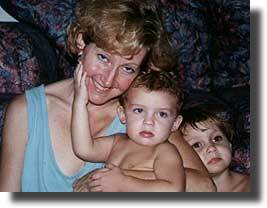 Mommy, Breck, and I were all sick and kind of did nothing but lounge around and feel miserable. The one I really feel sorry for, though, was Daddy, since he had to take care of us all! !